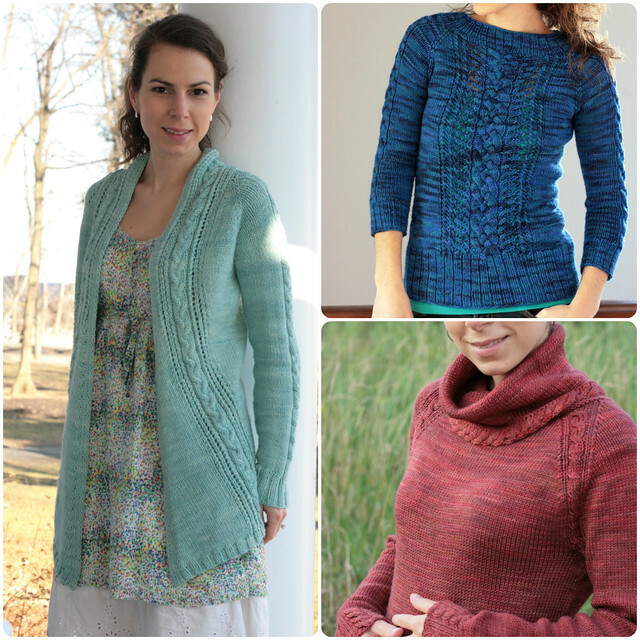 Summer Sweater Knit Along - Knitting with Hand Dyed Yarns with Guest Tanis Fiber Arts! i'm so excited to welcome tanis lavallee of the awesome "tanis fiber arts" as part of our summer sweater knit along!!!! she's one of our rockin' sponsors, the maker of the yarn i'm knitting my project with and an all around sweet & talented canadian gal. her yarns are to do die for. 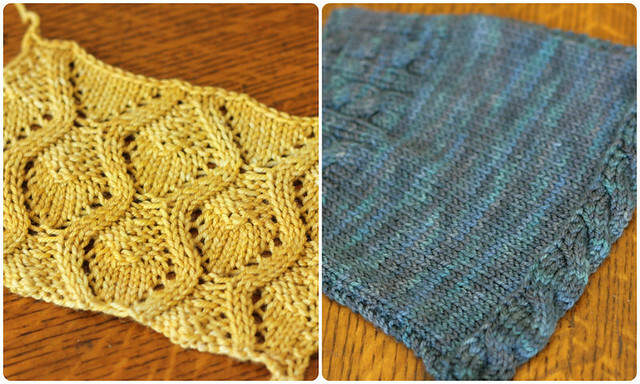 scrumptious tones that just scream knit me! she even designs equally as fab patterns as well. yep...this gal does it all! and if tanis sponsoring our kal wasn't enough she's also joining in! here's a shot of tanis's gorgeous "nanook" - her summer sweater knit along project. There is so much to say about hand dyed yarns. Obviously, I'm a huge fan, I've dedicated my life to hand dyed yarns! I knit with hand dyes 99% of the time and am always amazed at the nuances in colour, the variety, the subtlety and the magic that happens in each hand painted skein. I think that one of the key factors in what make hand dyes so special is the very fact that they are made by hand. Each skein is unique, and the work of the artist who dyed the yarn is present in each stitch. Picking the right yarn for each project you tackle involves so many factors; weight, gauge, needle, fiber content... lots of details have to be considered. But beyond that, if you're a lover of hand dyed yarn and you've found the right base for your project, the hard part now becomes picking a colour! Hand dyed yarns come in everything from wild multicoloured skeins, to the most subtle, tone on tone colourways. 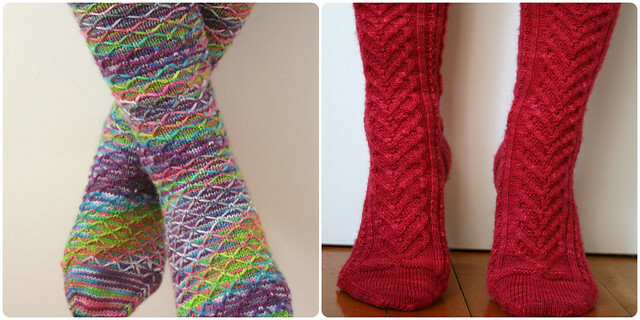 The fancy cable stitch pattern on the sock on the right required a more solid colourway while the pattern for the sock on the left allows the colourful yarn to shine! Being able to predict how your yarn will behave in your project can be crucial. If you're knitting a pattern with fancy cables or lace and don't want all the details to be hidden by the variegation in the skein, a more subtle tonal colourway is probably a better option. 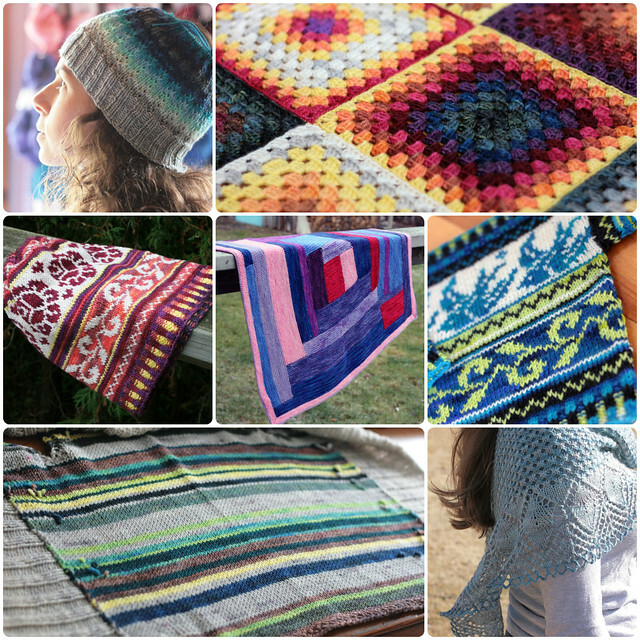 If your pattern is simple and the yarn is to be the star, then go nuts and pick something vibrant and stripy! It's always a good idea to start with a swatch with the motif from your chosen pattern and make sure that you like the way it looks knit up in the colourway you've picked. Always swatch with the colourway you intend to use for your project. Once you've picked your pattern and yarn, the next step is to decide wether or not you're going to alternate skeins throughout. If you're knitting a large project, like a sweater, and you've got 7 skeins of hand dyed yarn, even though they all come from the same dye lot, it is the nature of hand dyed yarns that they will all be unique, and sometimes there will be a noticeable shift in the way the yarn knits up. In order to avoid having a dark patch of zizags fall right across your bust line, you can knit your entire sweater by alternating skeins every couple of rows, or if the difference is very subtle and you'd just like to feather it out an easier option is to alternate skein every couple of rows every time you join a new ball. I often find that I can get away without alternating skeins for larger pieces, like the body of a sweater, but then when I switch to a smaller stitch count, like for the sleeves, any pooling or striping can become more noticeable and I'll alternate skein from that point on. The light blue cardigan on the left didn't require me to alternate skeins because the colourway is so subtle. However for the bright Cobalt sweater I alternated skeins throughout, and for the Brick turtleneck I alternated skeins for a few rows ever time I joined a new ball. Though hand dyed yarns work beautifully for cables and lace, and they add a whole new dimension to stockinette and garter stitch, turning the simple stitch into textural, complex looking fabric. One of my favourite uses of hand dyed yarns is for colourwork! Since the colourways are more complicated then simple solids, a blue is never just a blue, it's got a hint of green and purple and when worked next to a green shade that has hints of blue and yellow, the whole thing just comes to life! The colourwork possibilities for hand dyed yarns are endless! With so many tones within each colour, pairing two colours together is more like pairing four! and you can find all things summer sweater knit along and join in here.